Reliant Energy is known for their electric rates and unmatched customer service. They provide energy plans at the most competitive prices. In the Texas marketplace, Reliant is one of the top recommended electricity companies for anyone looking to buy commercial or residential electric service. When you’re ready to shop for an electricity provider, one company you’ll want to look at is Reliant Energy. Over 1.5 million people across Texas have went with this company because their electricity rates are some of the best in the state. They are a company that incorporated in 2000 and became an NRG subsidiary on May 1, 2009. 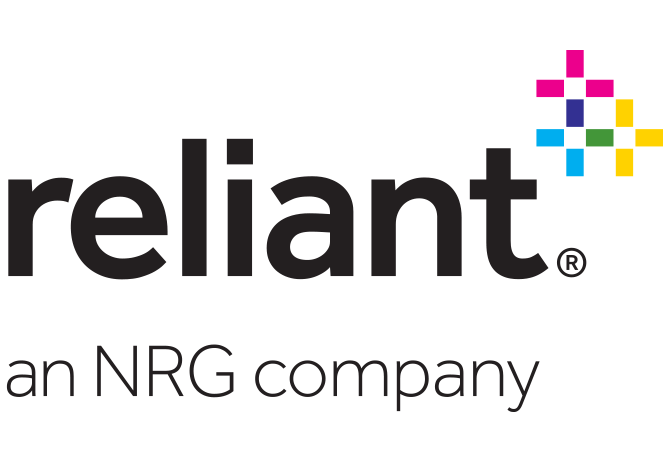 Today, Reliant Energy is America’s leading integrated power company – a Fortune 500 company, in fact. They not only offer great electricity rates, but they also have a really diverse portfolio. They’re greatly known for offering reliable and efficient electricity for both; residential and commercial business consumers alike. Over the years they’ve invested a lot of time into implementing sustainable solutions for energy production and management. Their main goal is leading the way towards creating smarter energy choices coupled with exceptional customer service. Besides offering great electricity plans, Reliant Energy reviews say they also help the communities they live and work in. Since 2004 they’ve given millions of dollars to charities that directly impact the lives of people in their service area – including food banks, housing, self-sufficiency, and educational programs. Outside of their community, Reliant also helps respond to areas where extreme catastrophes occur (e.g. the Japanese tsunami of 2010). Additionally, they often triple their employee’s donations to maximize their contributions. Besides these wonderful charitable contributions and the great rates they offer, you’ll also find that when you read through their consumer reviews, you’ll see that they’ve also won many awards – such as the Benchmark Portal top 10 Call Center Award in 2014. These are for things like industry leadership, nationwide energy initiatives, and helping with protecting the climate, air, and natural resources. Once you compare Reliant Energy rates and find the right plan for your home or business, you’ll start enjoying highly competitive prices. Just look at the size of the company to see for yourself how successful they are. In some of Reliant Energy’s reviews you’ll see that there are some complaints against them – mainly in regards to billing. As you read through the BBB (Better Business Bureau) reviews you’ll see they align with what their competition offers. The lowest Reliant Energy rates are for online plans. In fact, when you compare their electricity rates you’ll see that they charge extra if you need to talk to a customer service representative on the phone or consume under 1,000 kWh per month. Of course, as you compare Reliant Energy rates you must remember that they also vary depending on where you live – what zip code you’re in. Regardless of where you live, you’ll save money on electricity starting at 8 PM Friday night. The 24 plan with Aadvantage is an airline plan that allows you to earn 15,000 miles when you sign up and another 500 miles every month for 24 months. So you can earn up to 27,000 miles (enough for a domestic roundtrip ticket) – simply for choosing Reliant Energy. Reliant United Mileage Plus Plan allows you to earn 15,000 miles when you sign up and another 500 miles every month for 24 months so you earn up to 27,000 MileagePlus® award miles. The Reliant Southwest Rapid Rewards Plan gives you 15,000 bonus points when you sign up and 500 points per month for 24 months so you earn up to 27,000 points. This plan also gives you innovative solutions for monitoring and managing your electric usage. The Baby Power plan donates $100 to the March of Dimes when you sign up and give you a $100 credit on your bill. The American Heart Association plan donates $100 to the American Heart Association and gives you a $100 credit on your bill. When you look at Reliant Energy reviews, you’ll find they’re mixed, especially in regards to their customer service – some people say it’s friendly while others have had unpleasant experiences. Another thing people mentioned liking when they wrote their reviews, was the weekly summary emails. These allow you to track your usage, so that you’re not surprised when your bill arrives. When you compare energy plans and decide to switch to their electricity service, you have three business days to change your mind without a penalty or fee. This is also true if you move and don’t give them a forwarding address. You’re charged extra when you consume under 1,000 kWh. Make sure you read through everything before agreeing to Reliant Energy rates instead of just basing it on the reviews you’ve read.